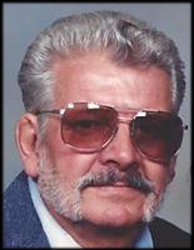 William (Bill) Mosbacher, Jr. passed away at home surrounded by family on September 10, 2014, after a lengthy illness, at the age of 86. He was born in Freed, N. Dakota on March 10, 1928, to William, Sr. and Della (Kovis) Mosbacher. He grew up in Jamestown, N. Dakota where he married the love of his life, Colleen Marie Flaherty on May 6, 1949. William served in the United States Army from 1952 to 1954, where he served in France and Germany. He was Honorably Discharged, returning home to Jamestown. He went to work for Jamestown Hide and Fur until moving to Lodi, CA in 1971, with his wife and children. William worked for Hughes Chemical, Beck Construction, Claude C. Woods and retired from Baileys Nursery. William loved being outdoors. He fished and hunted when living in N. Dakota. He loved working in his yard, woodworking, and yardselling. Mostly, William enjoyed being with his family. He is survived by his wife, Colleen of 65 years; children, 3 daughters and 2 sons, Della (Bob) Gastro, Jamestown, N. Dakota, Randy (Mary) Mosbacher, Redding, CA, Chris (Vern) Cooley, Lodi, CA, Susan (Don) Fields, Lodi, CA, and Lee Mosbacher, Lodi, CA. His son, Lee Edward, took loving care of him for the past ten years. William has 11 grandchildren, 14 great-grandchildren, and 1 great-great-grandson. He was preceded in death by his parents, William and Della; infant daughter, Debra; brothers, George and John, and sisters; Edna, Ardella; a baby sister; and his loved little buddy, Otto. Friends are invited to visit Tuesday, September 16, from 2: 00 p.m. until 8:00 p.m. at Lodi Funeral Home. A graveside service will be held on Wednesday, September 17, at 11:00 a.m. at Lodi Memorial Cemetery. Lodi Funeral Home is assisting the family with the arrangements.